Listening through solid structures as well as through windows is an important task for special operational teams. The PKI 2215 Professional Stethoscope Transmitter is the perfect solution for this purpose. The PKI 2215 has excellent clear audio pick-up and can be adapted to the customer´s requirements. 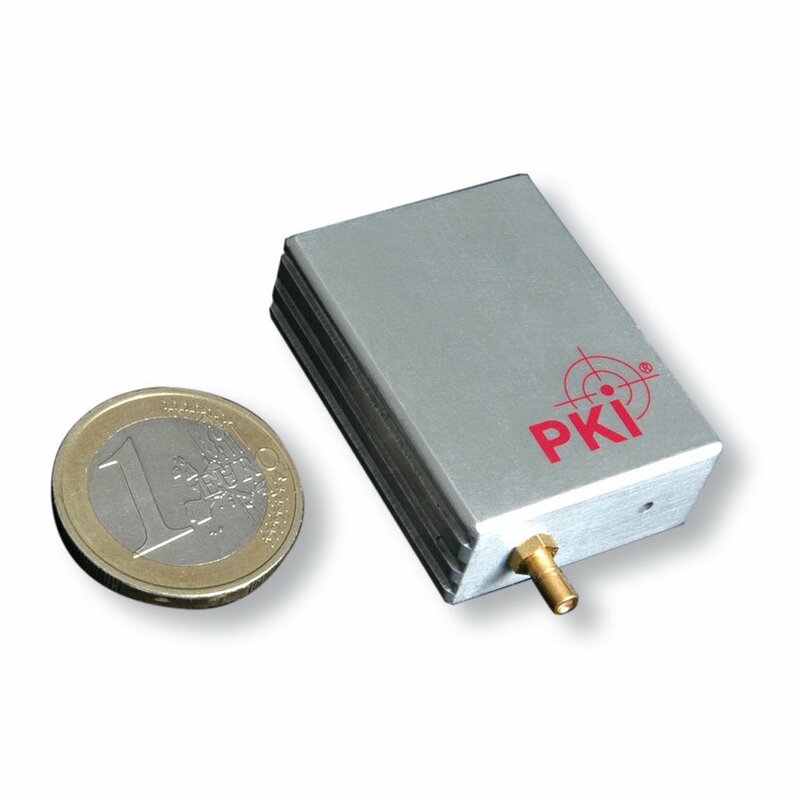 On request PKI 2215 can be delivered with amplification which is adapted to the local environment, such as wall thickness and window characteristics. The sensitivity can be adjusted by a miniature trim potentiometer. This adjustment also influences the frequency characteristic, which means that for walls the higher frequency part will be amplified, on windows vice versa. Additional adjustment is possible by using different thickness of the adhesive paste between sensor and pick-up surface. The unit is absolutely suitable for professional use. The highly sensitive sensor and the electronic parts are integrated in a solid metal case.